When I have seen these headphones for the first time they got my attention with their looks. 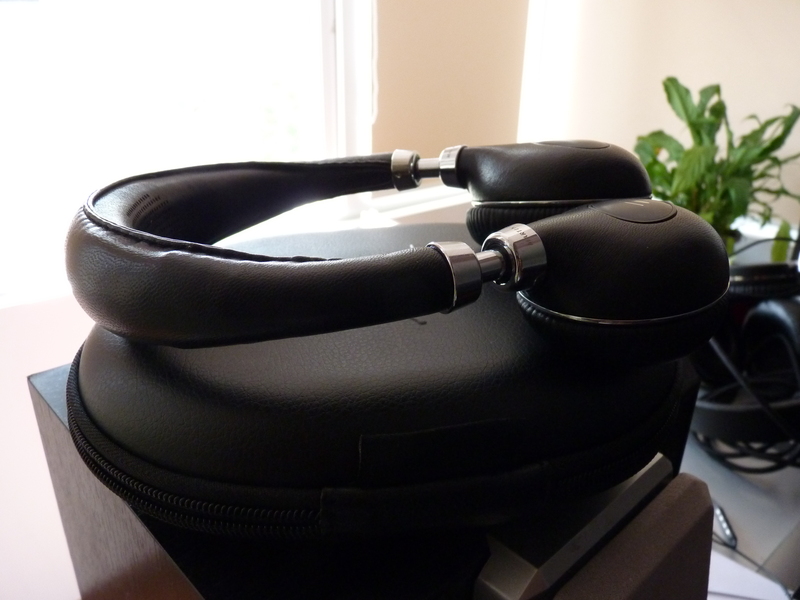 They have a very nice design and a stylish and sturdy build quality. They are intended to be a fashion headphones, that is for sure, and I’ll be damned if I have seen a better looking headphone. They really blow the competition out of the water with the looks, feel and style. They are almost completely covered in leather. The headband has a very strong & thick metal body. The cable is detachable and even if it has volume control on it, it still is a very good cable. Why am i telling you this? Because the cable from Focal Spirit One can be used with the Mikros. After using the cable from Spirit One, I have realized that the stock cable from Mikros bring more detail, better transient response, and open the sound more. While admiring the looks, I realized they are Martin Logans! Now it really got my attention. I really respect and admire this company for the excellent speakers they make. When I first heard their entry level electrostatic speakers, the Martin Logan ElectroMotion ESL, they really blew me away. I have never heard such sound-stage, level of details, transparency, transient response, etc in a speaker system, especially at that price. These headphones are on ear and you must be attentive with this as if you don’t set them well on the head, you won’t get a good seal and it will affect the sound ( bass & body the most). From what I have seen, the cups set on the ears with an angle, so I think these are meant to be like that, as angled drivers usually offer more sound-stage and a better stereo image. Some people may find the clamping force a little too strong, but I think it gets looser in time. The package comes with a nice portable storage box that I think is also made of leather, the detachable cable and with a 3.5 to 6.3 adaptor. The first listening impression was somehow weird and a little disappointing, as I felt they lack body & bass. After a few minutes of changing some songs it started to get to me. They really have some interesting features that make them stand out of the crowd. This is one of the strongest points of these headphones. The treble is crystal clear and very well extended & detailed without being harsh or sibilant. I never heard such quality treble in an closed headphones yet. It is amazing! The mids are quite good. The voices are clear & transparent but lack some body. The guitars and other similar instruments have a very good impact and presence. Ok this may seem one of their weakest points at first glance. The first thing you will notice at your first listen is the lack of body. However, if you give them a chance you will notice it has a very good punch and the bass is very well controlled & extended . After burn in the bass kicks in.I am sure there will be people to consider the bass to be too shy but I like it. On some songs I enjoy the fast, controlled , well extended & punchy bass. The details were very nice especially on the higher mids and treble. This is another thing that really drew my attention. The plucking of the guitar, the percussion, hand claps, etc were very impressive. The decay is natural and not lazy at all. I just love how the piano, guitars, violins sound on these babies. Never expected this level of transparency from a portable headphone, but the music really gets the hold of you and letting aside the strong clamping force, you forget about the headphones. If you look at the headphones you wouldn’t think they will have a wide sound-stage, especially with their size and the fact that they are closed, but they sound very open and clean to my surprise. The instruments are very well separated and placed into space. 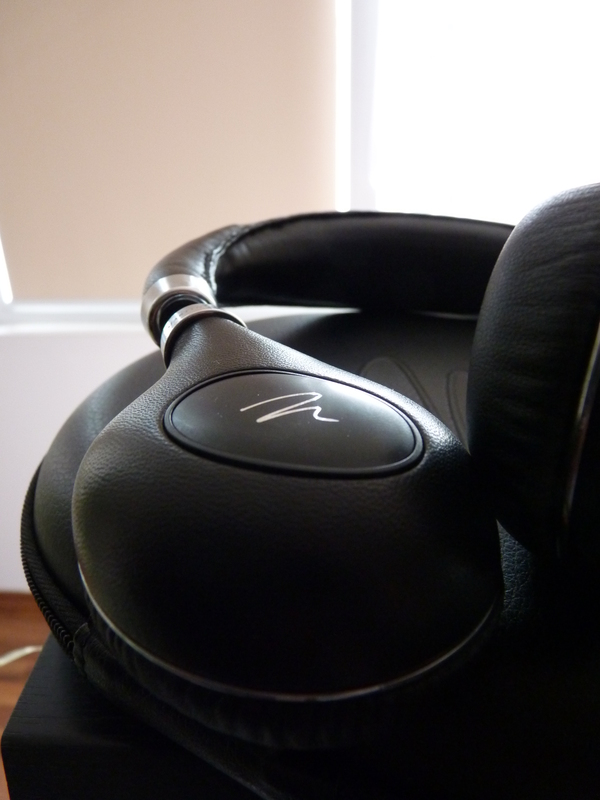 The Mikros is a very interesting pair of headphones and managed to impress me on many levels. They are good for instrumental music, pop, classical, jazz & vocals, even though these genres could use some bass presence too sometimes. One other thing you should remember, is that they don’t like poor recordings. I, however enjoy listening to some house music & electronic , like ATB, Armin van Buuren, Infected Mushroom, etc on them too, but not as much as with other headphones like spirit one, d7000, amperior, momentum, etc. Don’t forget to let them break in for at least 20h, as they really open up, even the bass starts to get better. 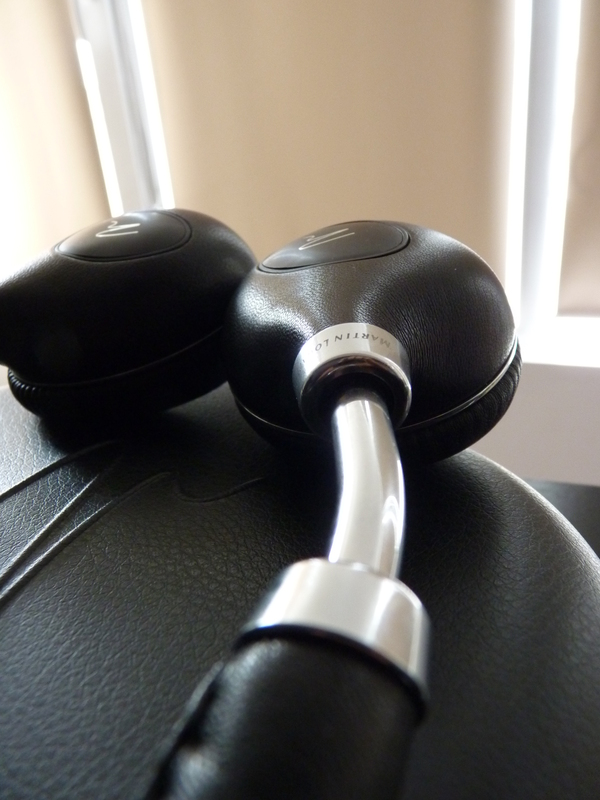 Martin Logan brings an interesting new approach and style to the market with these headphones. So if you care for the looks, crisp & detailed treble, transparency and are not into heavy bass, but still punchy and tight bass, give them a listen. 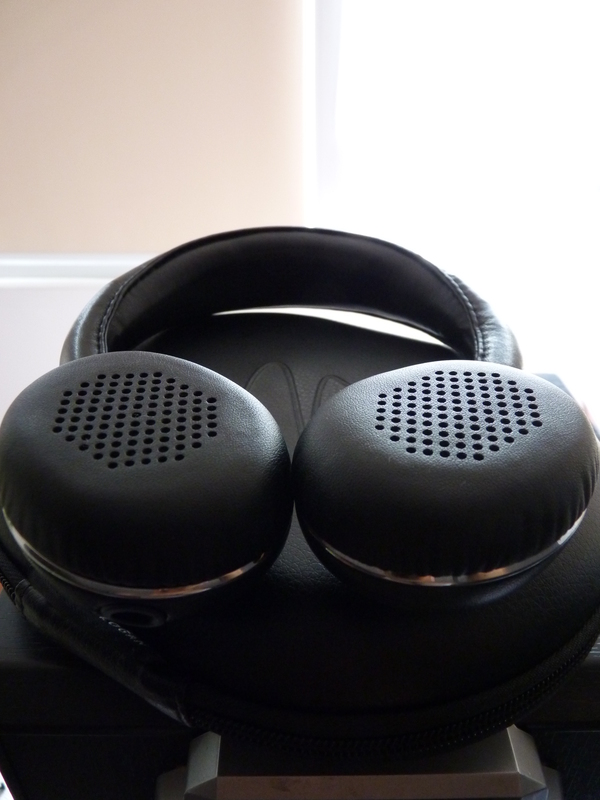 I tested them with Burson Conductor, Galaxy S4, Fiio E17. Loved them from the S4 and E17. These headphones really grew on me. I am starting to think of buying one myself. So in conclusion, I highly recommend these headphones! Just bought a pair :D. They are my favorite portable closed headphones now . I feel they loosened up but not by much. I didn’t try to bend them, yet. I was a little afraid of breaking them myself. So it sounds like you kept them. Do you love them? They are $99 now. I have a pair of HK CL’s but these sound really nice in the store. Ps. I tried expanding/stretching out the floor model and it flexed out to near 180 degrees without breaking. I’m not positive that did much?